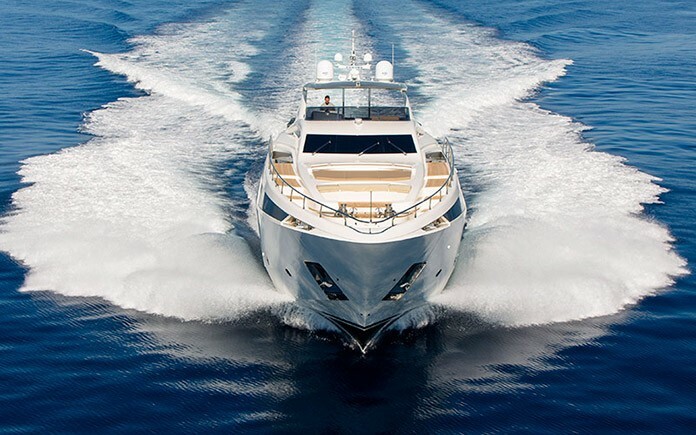 The 100.07ft motor yacht Amer Cento was built in 2013 by Permare in Italy at their San Remo shipyard. 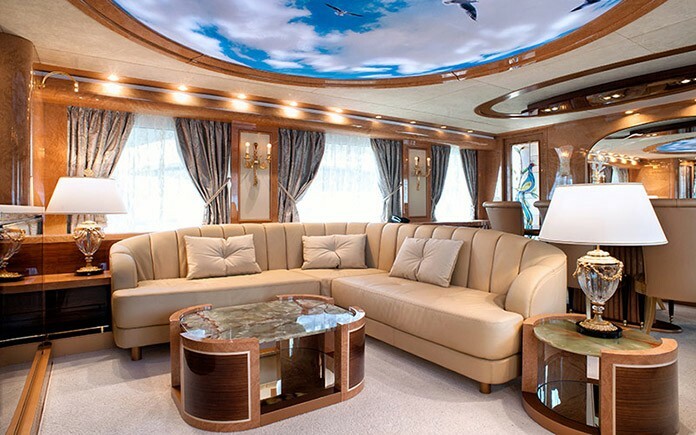 Based on award winning projects like Amer 116′ and 92′ this luxurious boat set a new standard in styling and engineering combining space and fashioned lines, performance and fuel savings. 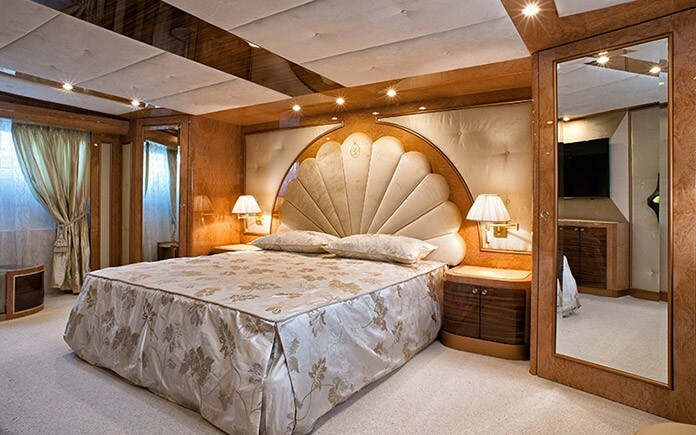 This luxury vessel’s sophisticated exterior design and engineering are the work of Verme Projects. The boat has cleaned and essential lines, offbeat with profiles which are defaced by invasive windows. 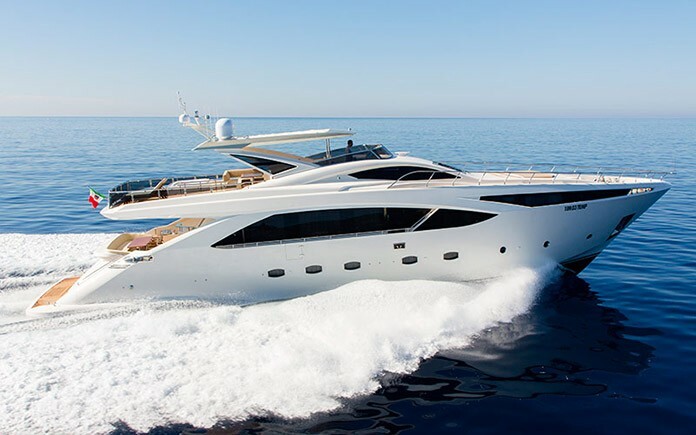 The yacht, in spite of the imposing hull, is very balanced and elegant and ties well with the models which have already been realized by the Ligurian Shipyard. 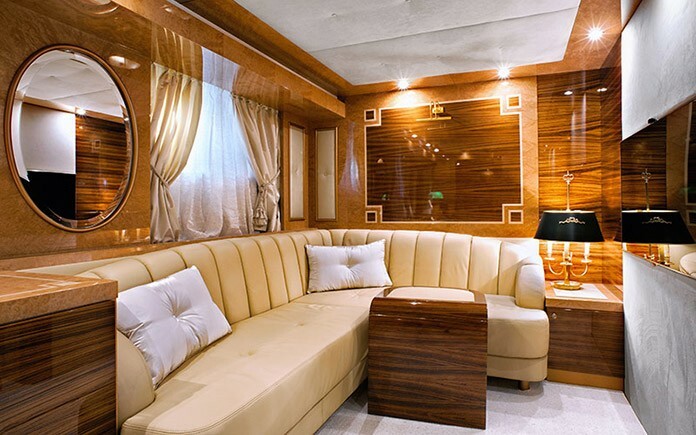 Interior accommodation space uses a raised pilot house layout, with great benefits from wide beam (23 ft) and wide body owner cabin solution, rare for a boat of its length and performances. The adoption of a compact V-drive solution for shaft line made engine room more compact. 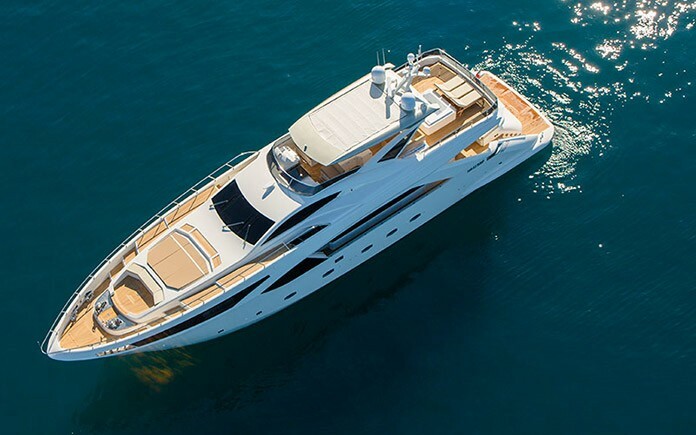 Are available up to five cabins and three separate crew accommodation, with a large galley and 60 square mt of flybridge. 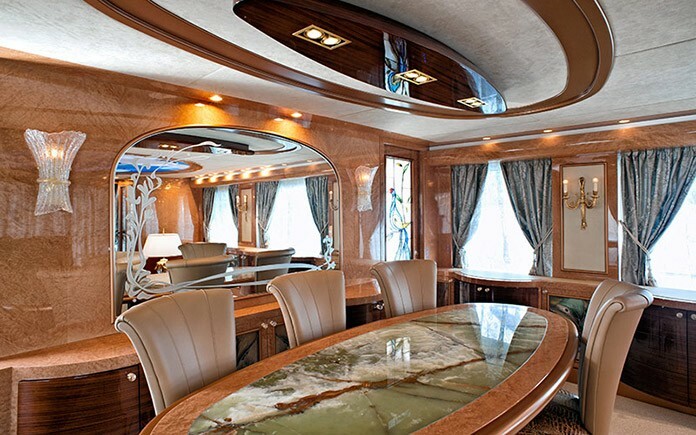 Interior design, as usual for Permare even in small boats, is fully custom according to Owner preferences and taste. 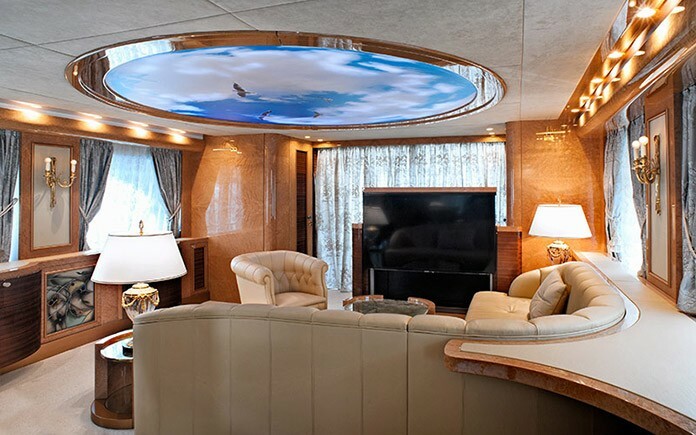 In the eyes of windows the Cento is similar to Amer 92’ but they have been enlarged to give greater illumination to main saloon. 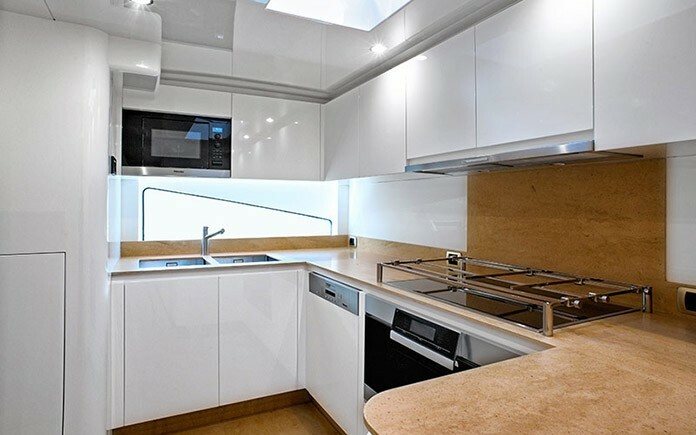 In the environs of the large galley there’s a practical and functional storeroom and laundry place. 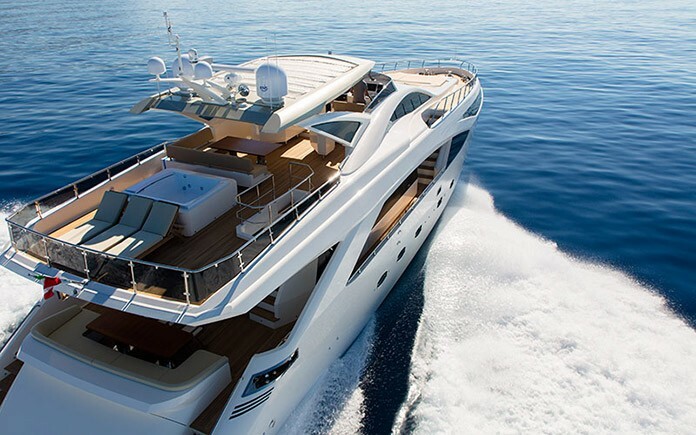 Several options have been designed like balconies, bow swimming pool and outdoor access to wheelhouse by a gull wing door. A climbing ladder to fly leads to the suspended wheelhouse; are also expected the second and the third control stations on fly-bridge and at stern. The large afterpeak gives hospitality to the tender’s lodging till 4.20 mt of length. Big attention also to crew’s area which is planned to accommodate till three separate cabins so that may satisfy also the version which is dedicated to Charter. The mobile stern platform, the double anchors and double winches systems, the whirlpool bath and the fly protection in lunch area don’t constitute an optional, but contrariwise they are part of the standard equipment. Top level noise, vibration and insulation material studies has been adopted with stabilizing devices make it possible to achieve a high standard of comfort on board. The engineering and marine behavior of the boat is based on an optimized hull shape that combines efficient low speed conduct with a good planning operation. Weight optimization and care to technical details lead to a combination of results unique in the market. The Amer Cento can sail 24/24 with one engine at 12 knots with a fuel consumption of 24 gallons per 100 nautical miles, but can also reach a top speed of 29 knots, 1/3 loaded with just 2×1925 mhp engines. Similar results, scaled in size, are reachable with Amer 92’ and 116’, made and engineered in the same way and available for tests. 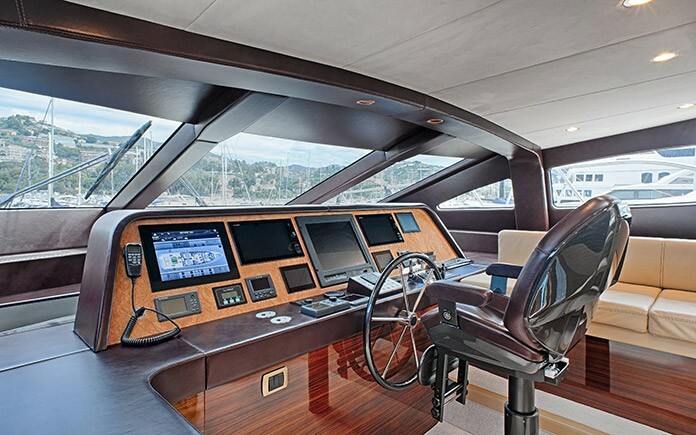 This kind of navigation, which allows big trips and night navigation, is already known and used by Amer owners, but in time of crisis and careless increases of fuel cannot be overlooked also from a potential buyer who values the offers on market. Both the motorization MTU with both the engines at 1200 revolutions and the motorization Caterpillar with just one engine at 1450 revolutions offer, with particular devices, the displacing speed. Concerning the use with planar speed the performances at 90 T foresee a maximum speed of 29±1 knots and a cruise speed of 25±1 knots, it decreases of only one knot if the weight reaches the 100 T.
It’s difficult to find powers and consumptions so contained far a 100’ in current market. 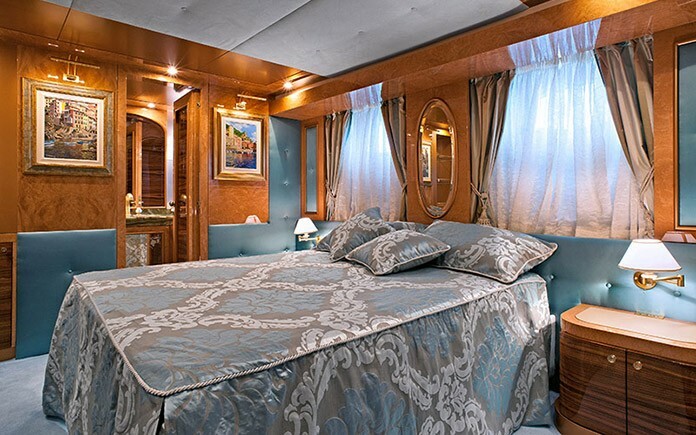 Thought for using in roadstead, which the shipyard recommends and tries to incentive, the Amer Cento foresaw the predisposition for stabilizers at gyroscope (Zero Speed), led lightening with low energy consumption, underwater lights, waste waters treatment and a particularly polished insulation to obtain an exceptional comfort during navigation.